It’s almost my favorite time of the year again: fall, hopefully cooler weather and Halloween! My family and I love Halloween so much so that my husband and I even got married on Halloween. 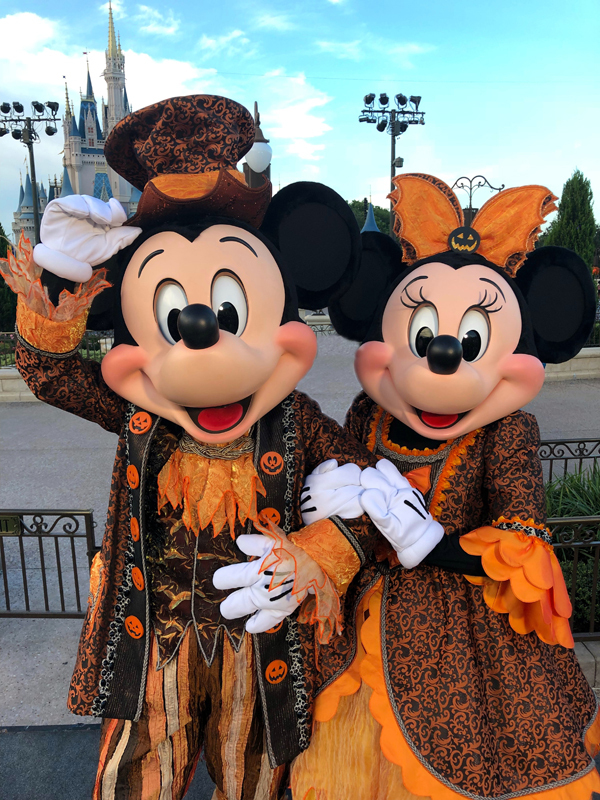 We really enjoy attending Mickey’s Not So Scary Halloween Party and when Walt Disney World invited us we couldn’t wait to see all the new additions this year. We attended the first Mickey’s Not So Scary Halloween Party of the year and it is running on select nights until October 31st. 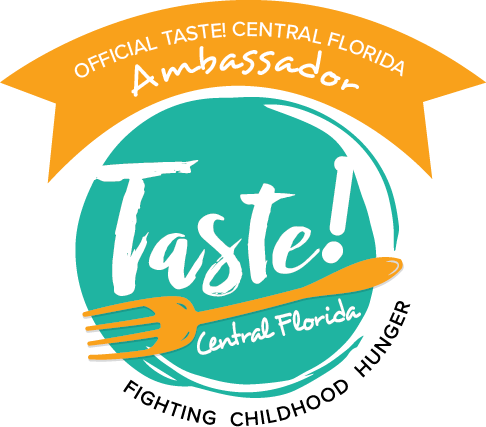 This is a separately ticketed event that gives you access to trick-or-treating, frightfully fun meet-n-greets, specialty themed food offerings, and eerie entertainment. Prices vary depending on the specific night you go. Come dressed in your Halloween costumes and get ready for a spooky celebration that’s not so scary. Party festivities start at 7pm but your ticket grants you early access to Magic Kingdom at 4pm. 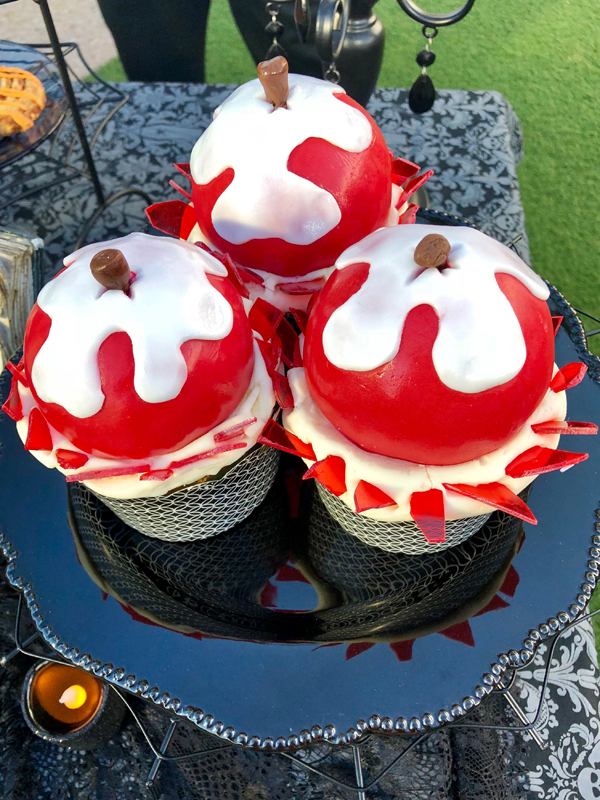 There is so much to do so let me tell you about what’s new that you don’t want to miss at this year at Mickey’s Not So Scary Halloween Party. 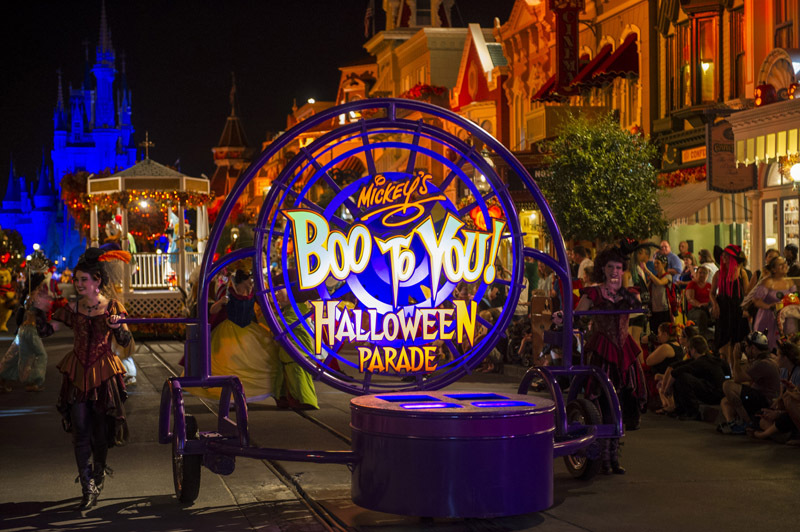 For the first time at Mickey’s Not So Scary Halloween Party there are some new twists on three classic attractions. 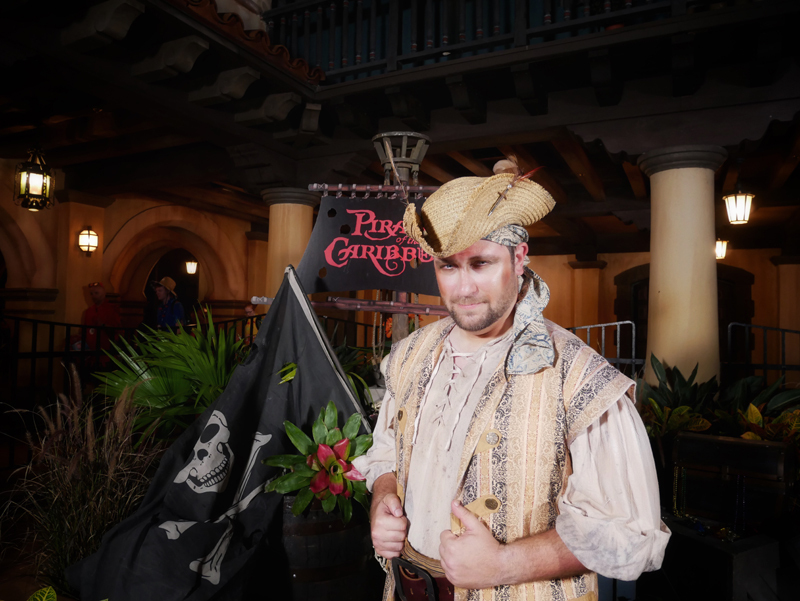 While riding Pirates of the Caribbean there will be live pirates interacting with you as you are on the look out for the rogue pirate, Gunpowder Pete. He’s after the same treasure as Captain Jack Sparrow. Pictured below is Pirate Dave. 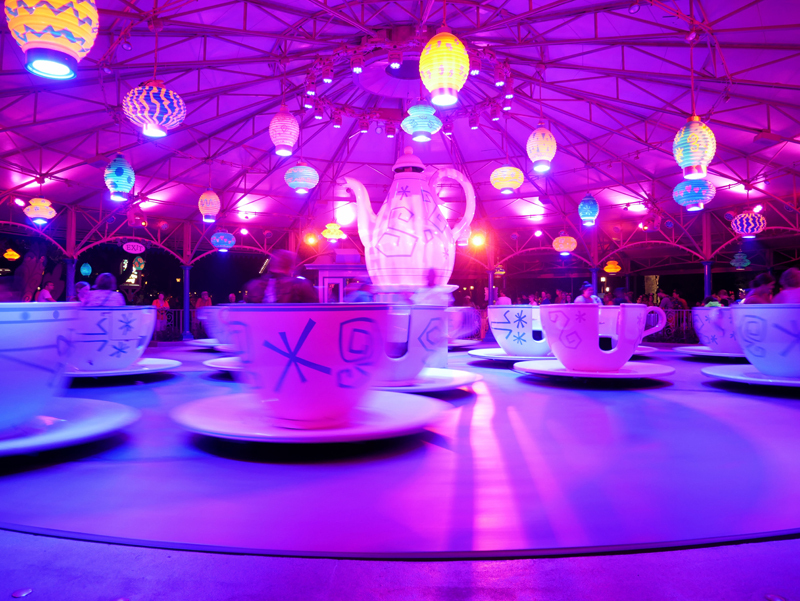 The Mad Tea Party is beaming with bright color with special lighting, effects and music for a new glowing spin to transform your ride experience. 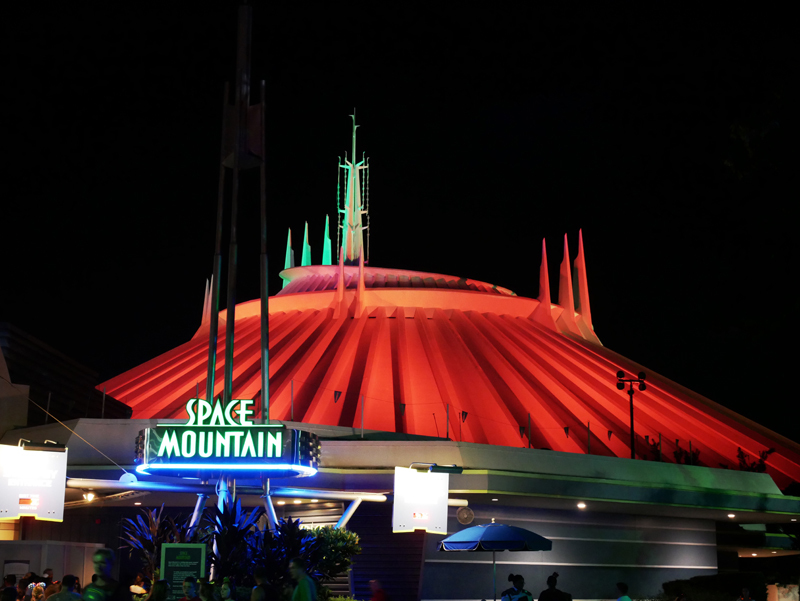 Space Mountain is completely dark. Like you can’t see your hand in front of you darkness. This is one of my favorite attractions at the Magic Kingdom and it was like riding it for the first time. Loved the new, original soundtrack. I can’t wait to experience this ride again! It was so frightening and exciting. 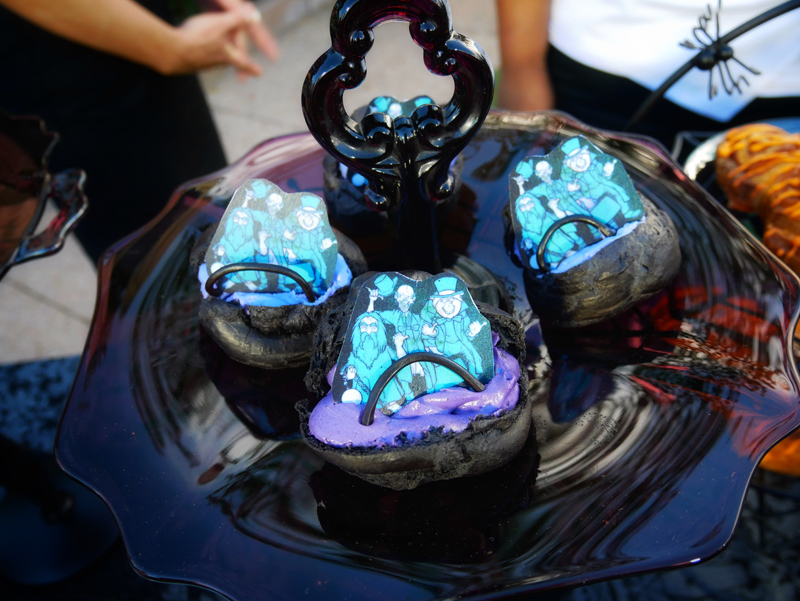 Spooky treats are starting to materialize at MNSSHP. 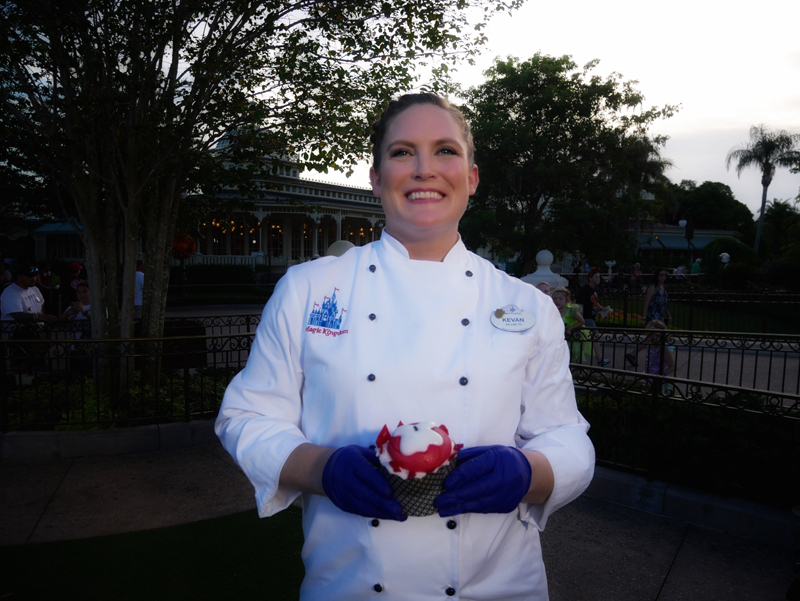 During our media preview, Pastry Sous Chef, Kevan Roberts performed a live dessert demo of a Snow White inspired Not-So-Poison Apple Cupcake. Spiced apple cake with pecan crunch and buttercream. We got to taste this cupcake and I really enjoyed the apple flavor of the cake itself. It’s kinda big so you may want to share with friends. 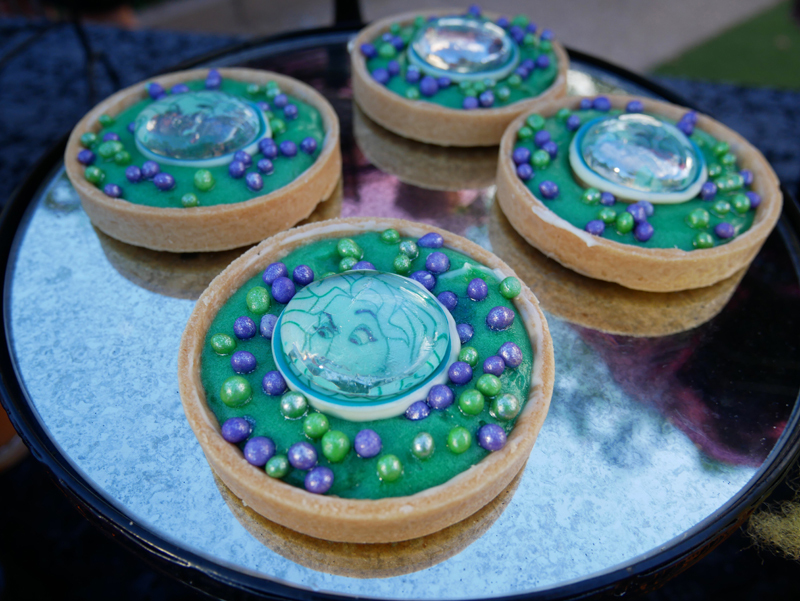 It will be available at the Main Street Bakery. 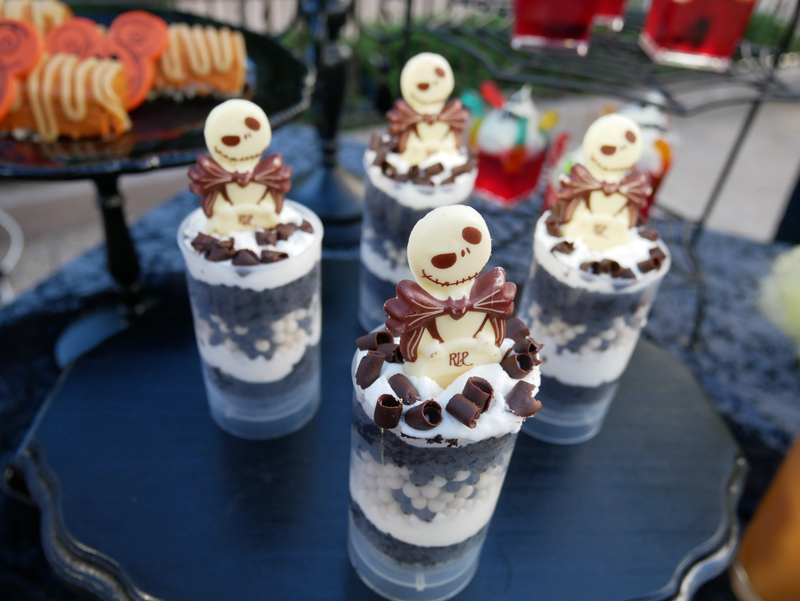 Recently, the Disney Parks Blog put out a post of the complete foodie guide to all these Halloween treats. 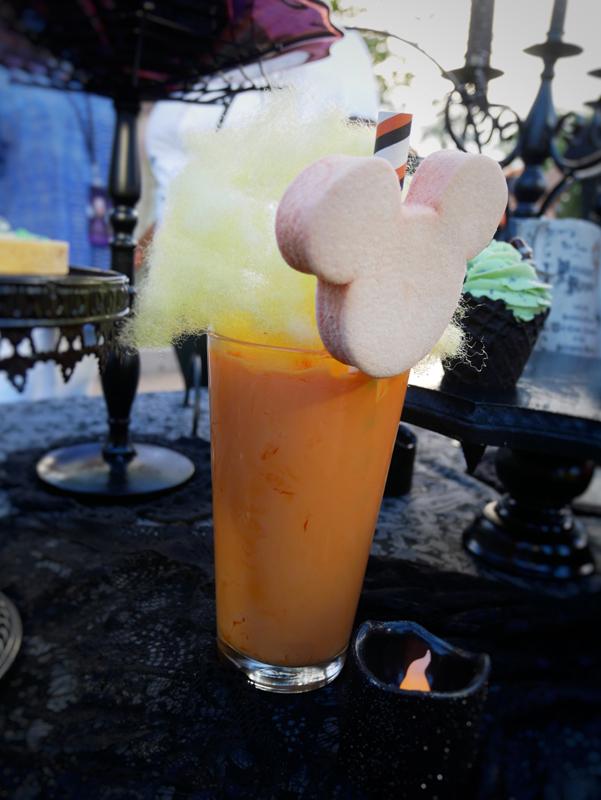 This year’s Halloween merchandise collection is filled with speciality designed products specific to the party. 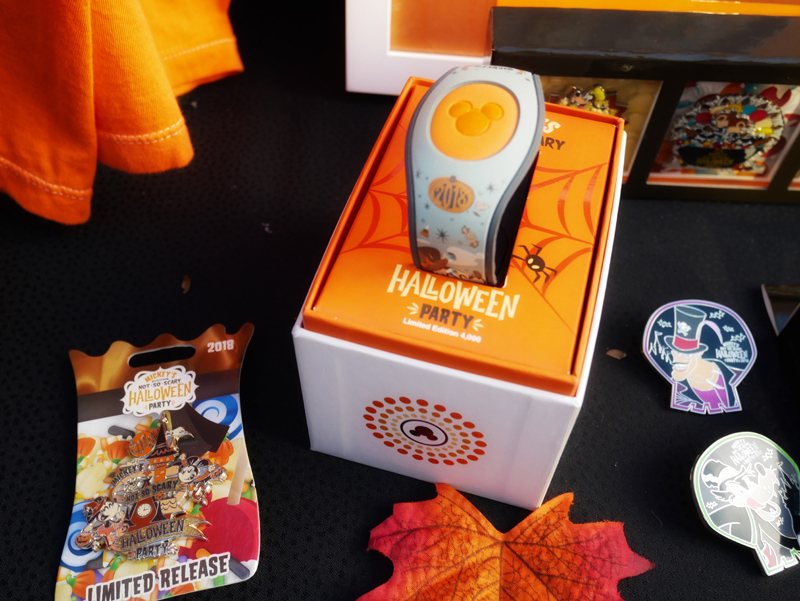 Some can be purchased during the season and others only during Mickey’s Not So Scary Halloween Party. 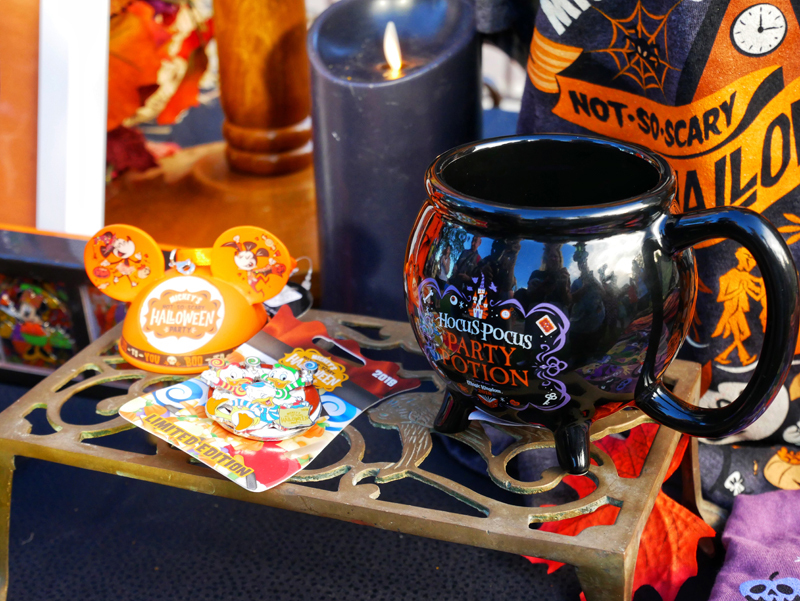 You will be going “amuck, amuck, amuck” over the 25th Anniversary collection of Hocus Pocus. 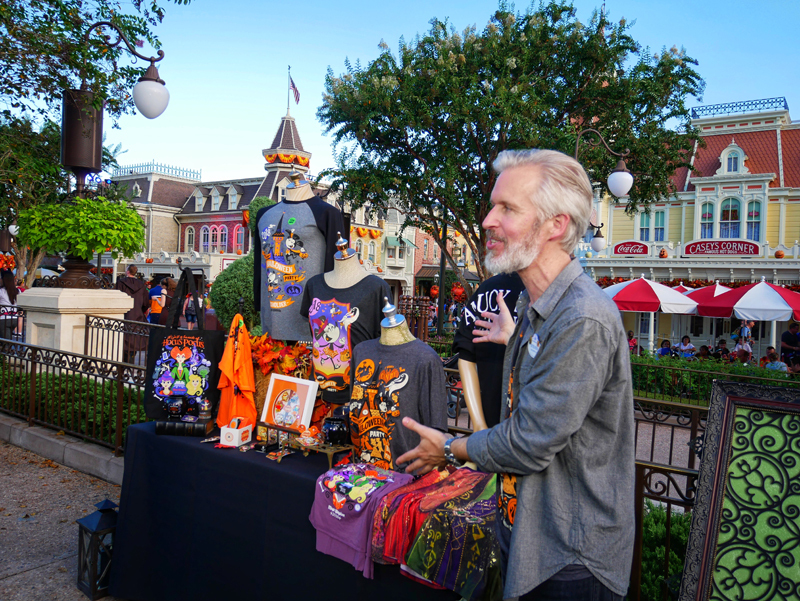 Steven Miller, Merchandise Communications Manager walked us through the magical assortment. 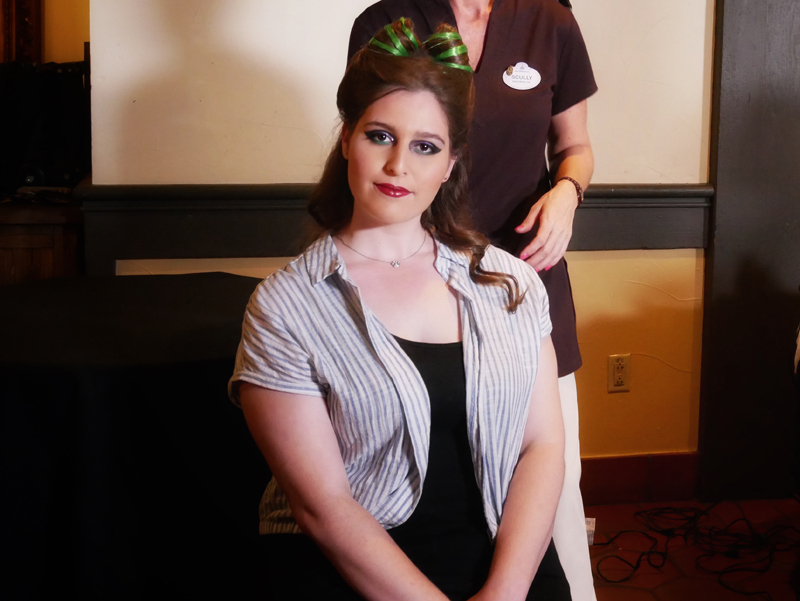 Disney has a new service called Character Couture at four of their resort salons where you can transform into one of your favorite characters with complete custom hair, makeup, and nail look to fit whatever character you’re inspired by. 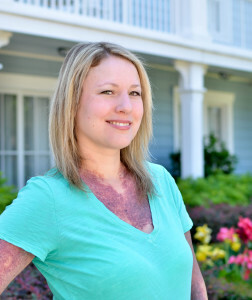 What a fun way to coordinate your outfit or costume for Mickey’s Not So Scary Halloween Party. The model in this picture is showcasing as Maleficent. 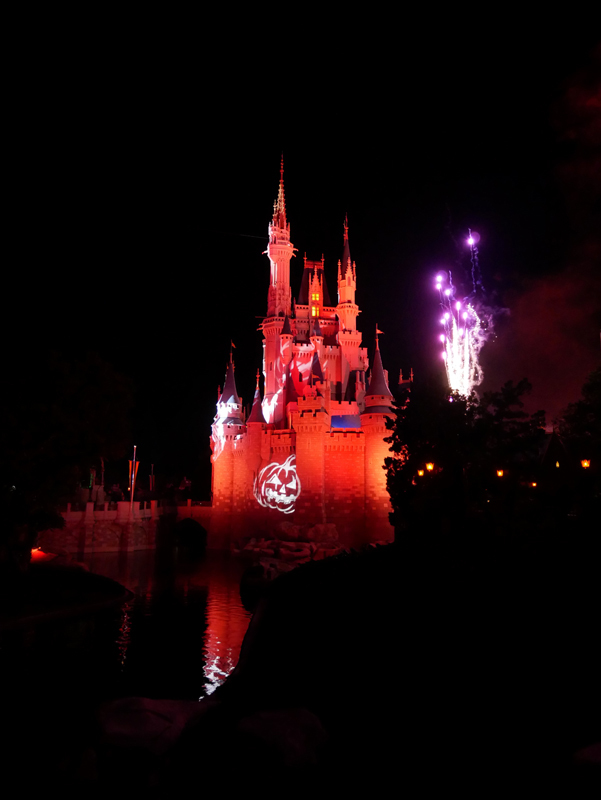 Each night during the party, Cinderella Castle transforms into an spooky sight when Happy HalloWishes fireworks show lights up the night sky above. I adore this fireworks show! The soundtrack goes along with the eerie theme from Disney Villains. 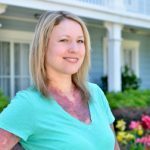 This parade needs to be on your list! One of my favorite characters, The Headless Horseman kicks off the Boo To You Parade with Halloween themed floats with Disney characters in costume. I love the Grave Diggers and Ballroom Dancers from the Haunted Mansion. The theme song that plays throughout out the parade will stay in your head for the next month. Happy Halloween! This year is the 25th Anniversary of the movie “Hocus Pocus”. 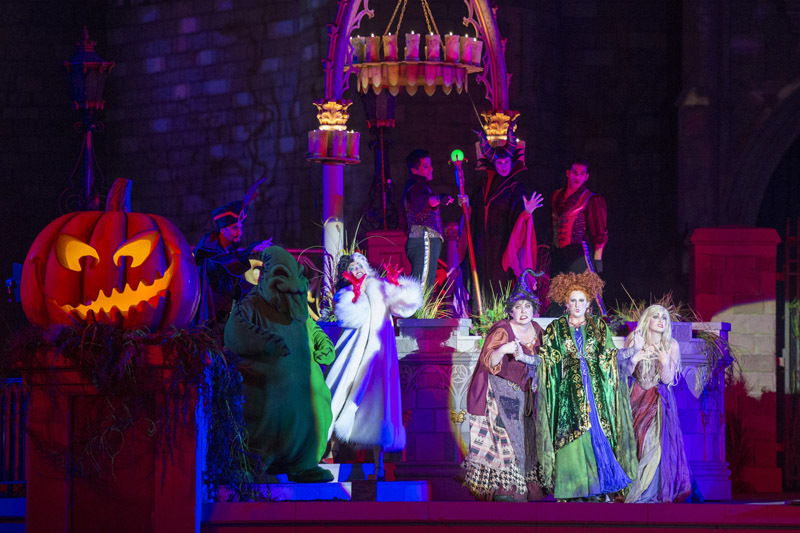 Come celebrate at the Cinderella Castle stage where the Sanderson Sisters and Disney Villains put on a spell of a show. There are only a limited amount of tickets sold for select evenings the party is held. 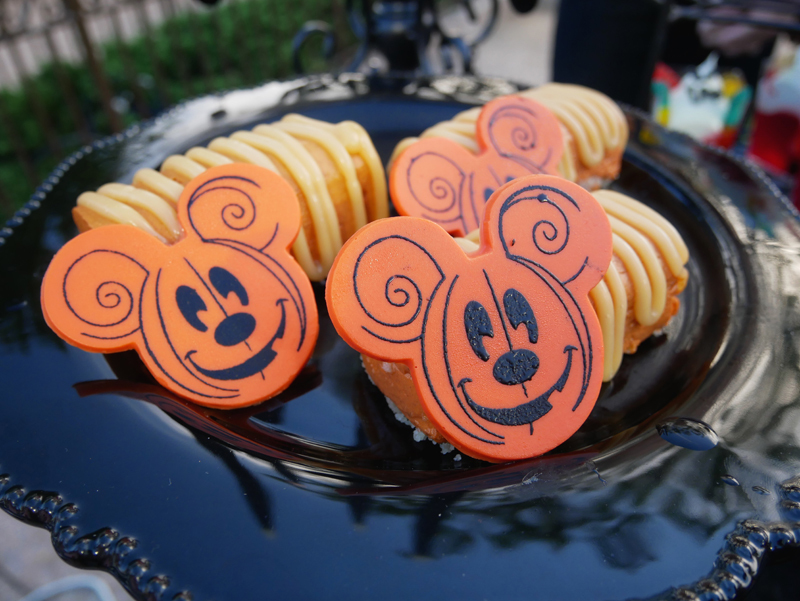 If you’re interested in learning more about Mickey’s Not So Scary Halloween Party or to purchase tickets, click here. For more on my experience you can check out my insta-story highlight here from the Halloween Party. I always love this time of year at the Magic Kingdom for the fall decor and fun treats. We’re looking forward to returning to Mickey’s Not So Scary Halloween Party again this season. 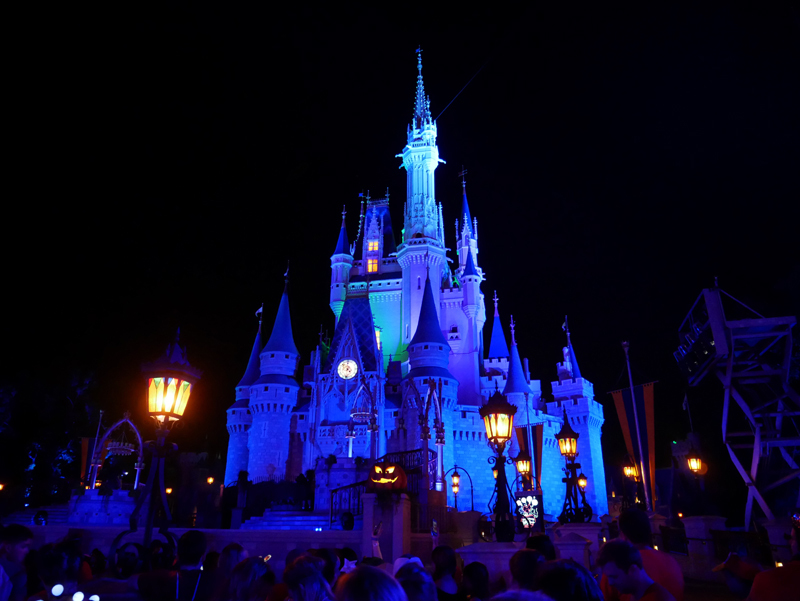 Thank you to Walt Disney World for hosting me for this Mickey’s Not So Scary Halloween Party experience. As always, all opinions are my own.